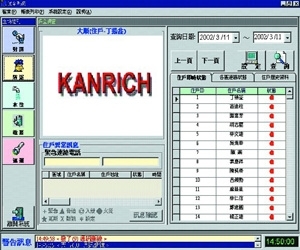 This is an intelligent system; analog system and digital system are available. The max. capacity up to 90 cameras --- 4,000 apartments can be run in the same system. 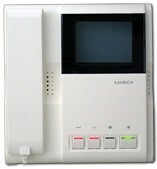 In the meanwhile, this system can be extended to security video and intercom 3 in 1 system. Some design space is kept for applying to modern various designs in the future. The stable system offers residents a safe living environment. Main wire : 7 + 1(7 signal + 1 video cable), RS485 digital transmission, format framework, easy installation & construction. Max. 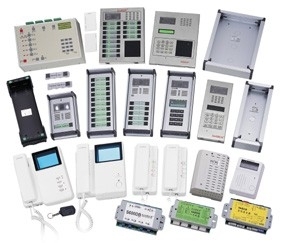 capacity : one control console can control 5 areas , each area can control 800 apartments , total 4,000 apartments and each area can connect 90 cameras. Control public main entrance, multi- public main entrances are available. The range of apartment number is from 1 digit to 8 digits, 1---99,999,999 is available . Setting apartment number or changing apartment code in DB directly. 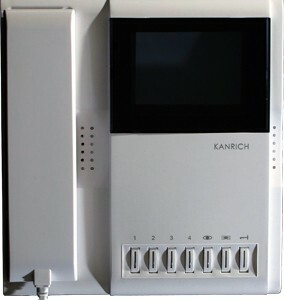 To increase door bell with CCD or without CCD in system, not only with the function of door bell but entrance guard function. <4> Monitor calls Control Console. The apartment code can be set 1 digit,2 digits,........to 8 digits.